For the best time travel experience, we recommend using modern web browsers to view the site. To celebrate our 20th year in the business, we gathered up some of the most memorable events of the past two decades. Scroll down to travel through time. Tim Berners-Lee publishes the first web page on the World Wide Web at CERN. East and West Germany reunite. The first Moomins episodes are aired. In Finland, an intense rivalry is brewing between the best programmers, graphic artists and computer musicians to create the most amazing animations showcasing the multimedia capabilities of the Commodore Amiga computer. Based out of one of their parents’ house in Espoo, Finland, a group of friends start coding Amiga demos, unknowingly kicking off the prehistory of Frantic. The first web browser is introduced and Linus Torvalds releases the first version of the Linux operating system. The Soviet Union officially ceases to exist. Nirvana releases Nevermind. The now renowned Finnish demo group, consisting of young tech enthusiasts Panu Ervamaa, Pasi Ilola and Christian Bergström alias StarFlair, Freezer and Iceman, starts calling itself Escape. They begin touring European assembly parties to showcase their demos. 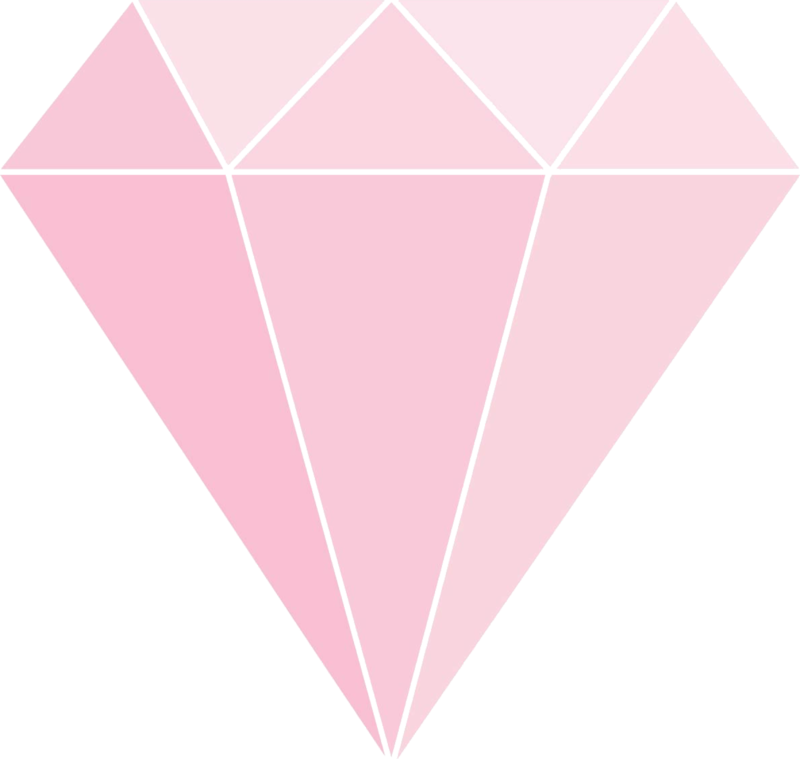 Mosaic, the first web browser to display images in line with text is developed by Marc Andreessen. Bill Clinton is elected president of the United States. Backstreet Boys are formed. In Finland, the recession is at its deepest. Despite this, the internet is slowly but steadily picking up. The foundations of Frantic are laid out. 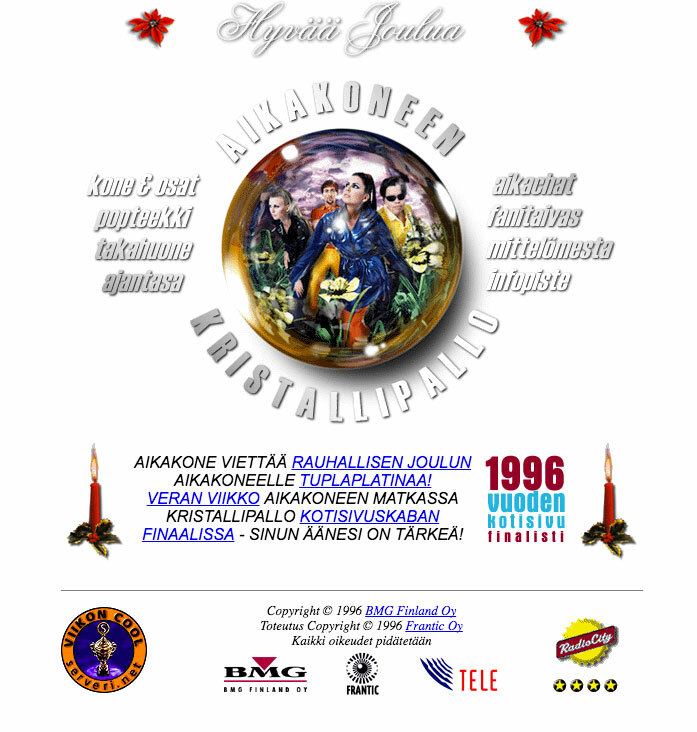 The emergence of the new media business, as digital services are called in 1993, is closely tied to the rise of electronic music in Finland. The future founders of Frantic start making 3D animations for (and appearing in) Finnish electronic music videos. Media companies in Finland are waking up to the possibilities of the internet. Future frantimones get their first real gig, a project for Yhtyneet Kuvalehdet, later known as Otavamedia. KoululaiNet, an interactive website featuring a pioneering interactive village element where users can chat and share opinions on hot topics, is born. The internet is geared to shake up everything from entertainment to shopping. Ebay is born. Garry Kasparov just barely wins IBM’s Deep Blue supercomputer in a chess match. Boris Jeltsin is elected for his second term in Russia. Tupac is shot, and the Spice Girls release their first single. Soon-to-be Frantic creates a website for BMG Finland, as well as the groundbreaking Kristallipallo website for one of the biggest bands in Finland at the time, Aikakone. Following huge success and awards for the innovative website, the official birth of Frantic is imminent. On January 17th, a bright, cold Friday in Helsinki, Sami Häkkinen, 22, Panu Ervamaa, 21, Pasi Ilola, 21 and Christian Bergström, 22 sign the papers at Café Strindberg, and Frantic is officially born. Google is founded, and Apple introduces the iMac. Finland becomes the first nation in the world to pass the 50% milestone in mobile phone ownership, and Nokia becomes the global market leader in mobile phones. Unbeknownst to both parties at this point, Frantic and Nokia will share an eventful history together. Frantic moves to its first real office in Punavuori, and new business starts rolling in. Megabaud.fi, the website of one of the leading ISPs of the time, is remade by Frantic. Frantic also launches RadioMafia.fi, a site featuring a live chat with the studio and a site theme that changes four times a day based on the hour. Not forgetting its roots in Eurodance, Frantic creates a website for the Finnish Eurodance legend, Waldo’s People. However, the project that really cements Frantic’s status as a web pioneer is a collaboration with Sandrew-Metronome in which Frantic creates the first electronic movie ticket store in Finland. The groundbreaking project Kinopalatsi.fi proves to be a success, and the awards start flooding in. MySpace is officially introduced, preceding a new social era of the digital world. The euro is officially taken into use in the EU. The Matrix hits movie theaters. 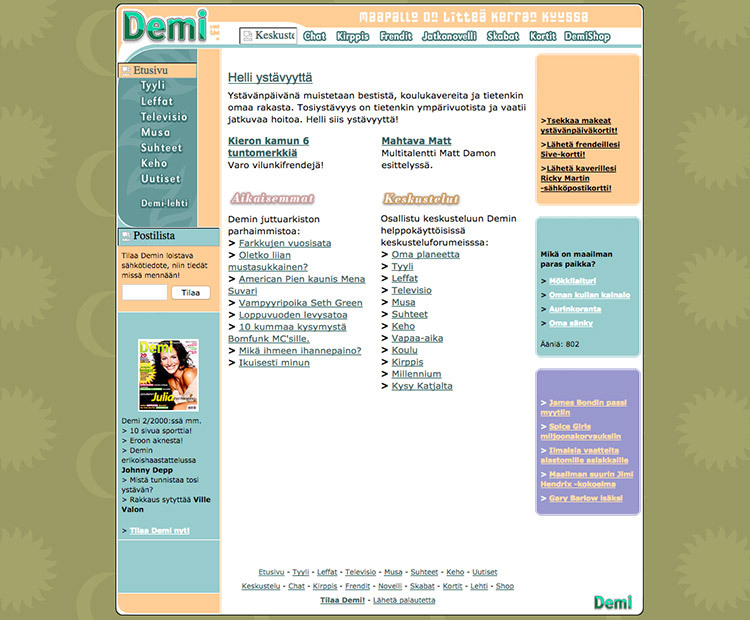 Meanwhile in Finland, Frantic creates Demi.fi, a digital community for teenage girls. In addition to targeted content and news material, the site features immersive interactive features for the teens' enjoyment. Over time, the site becomes extremely popular, resulting in a long and fruitful collaboration between A-Lehdet and Frantic. The internet is really blooming, but dark clouds are gathering on the horizon as the limits of the IT bubble are beginning to dawn on people. The legendary IRC-Galleria and Habbo Hotel services are opened. Following the release of the 3310 phone, Nokia hits its peak with a share price at an all time high of 63€. Tarja Halonen steps into office, becoming the first female head of state in Finland. On a sunny autumn morning, Frantic pitches a bold idea to Nokia, and they like it. A partnership spanning 10 years and numerous projects has begun. Frantic will eventually become the digital lead for Nokia in Finland, and go on to create global and local campaigns with a team peaking at 30 people. Frantic is hyped in Finland to the point where it’s unable to answer to the growing demand. Another new media company, Firelight, is fused into Frantic, doubling company resources and bringing in frantimones that are still a part of the team today. Elmeri Härkönen, Karo Kosonen and Toni Mielonen join Frantic as co-owners. Frantic Labs, with pioneering new services like Foop.fi and Mobone.fi, is also born as a spinoff. 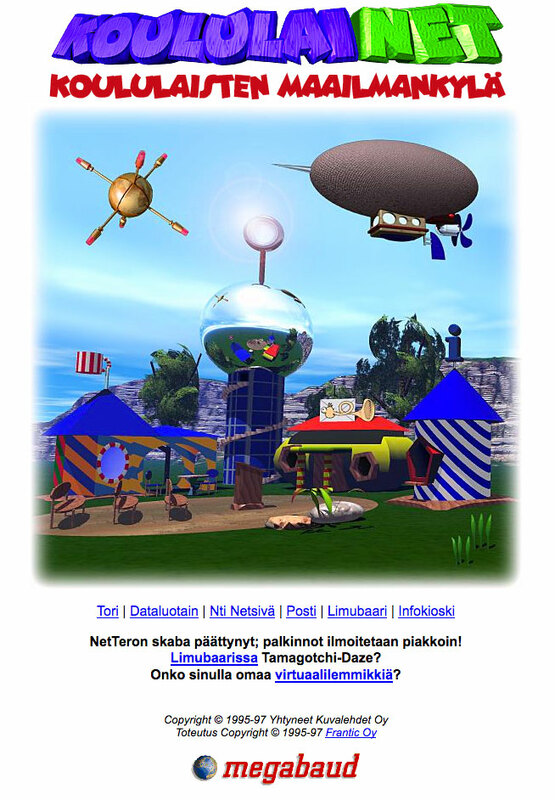 Launched Valentine’s Day 2000, Foop.fi was the first community web service focused on online chats. 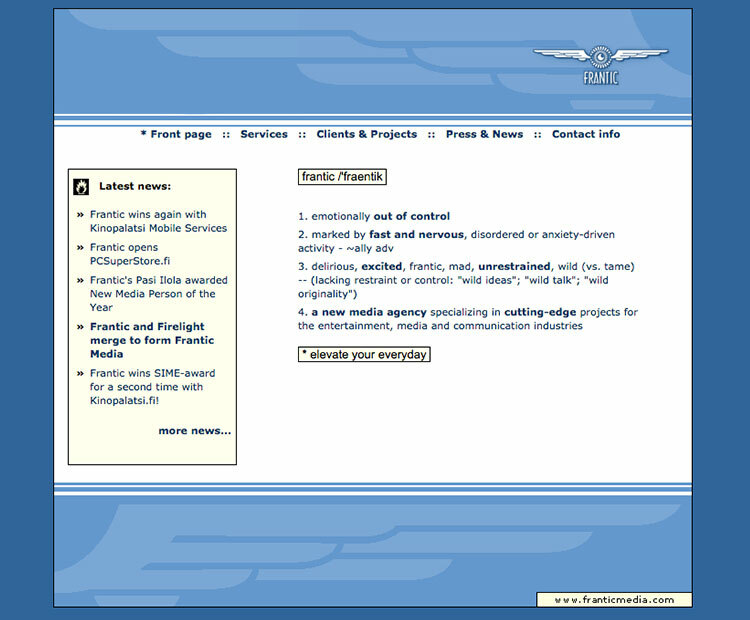 Frantic was ahead of its time: The golden age of community web services would begin a few years after Foop.fi was launched. The hangover of the new media industry is impending, but at this point the party is still on. Nokia is going strong, as well as the digital entertainment and gaming industries. Remedy Entertainment launches Max Payne, the biggest selling Finnish computer game to date. Wikipedia is born. The first Lord of the Rings movie is released. Frantic is doing well despite emerging problems in the industry, thanks to its long-term business relationships and the fact that it had refused to take loose venture money unlike many other new media firms. 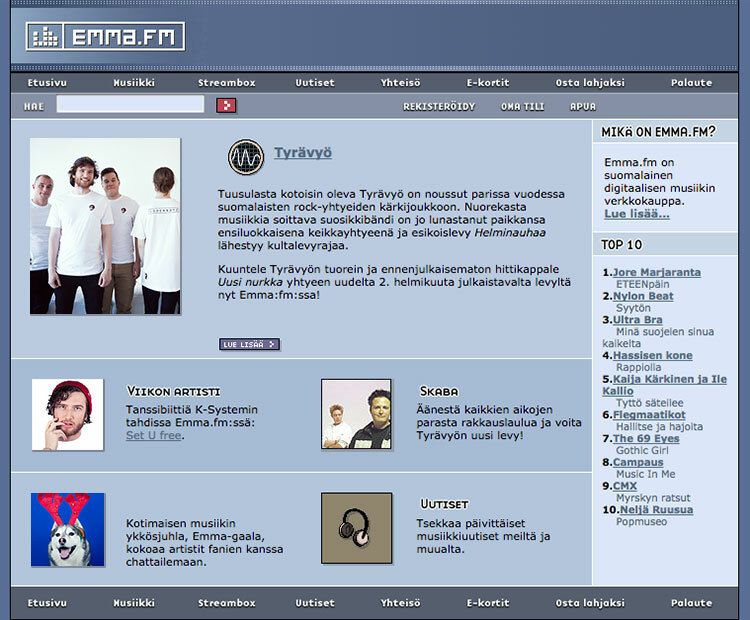 The new era of music distribution begins in 2001 when Frantic Media in cooperation with Elisa Communications, Yomi Media and IFPI Finland produces Emma.fm, the first music store using mobile solutions for purchasing digital music. This unique joint venture is the first service in the world to bring together many of the major record labels on a single platform. The site is an online store for digital music, offering legally downloadable music from top artists for Finnish customers. Again, Frantic is showered with awards. Water is found on Mars. The euro is taken into use in Finland. 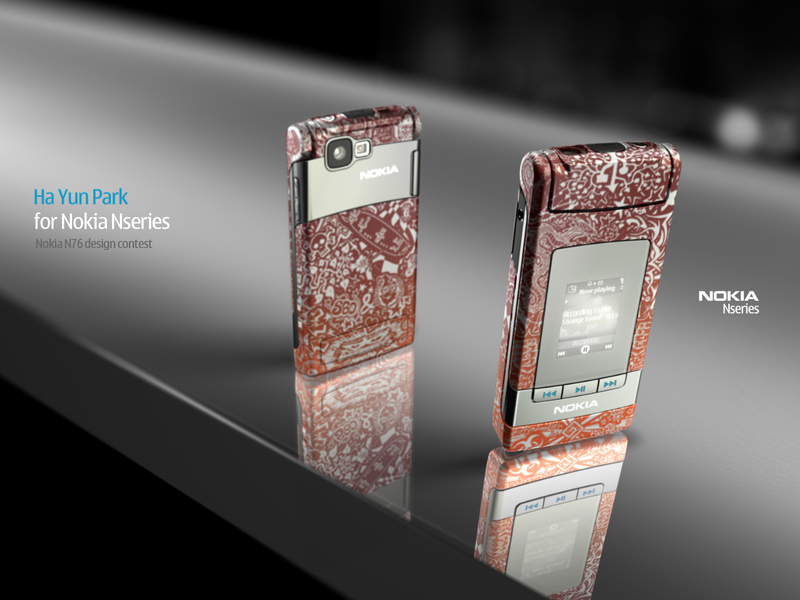 Nokia introduces the first 3G phone, the 6650. The scale of the problems in the new media industry begins to unravel. This means struggling for survival, bankruptcies and layoffs in the internet sector. The champagne might have stopped flowing, but Frantic soldiers on. A new Nokia.fi is launched in February. 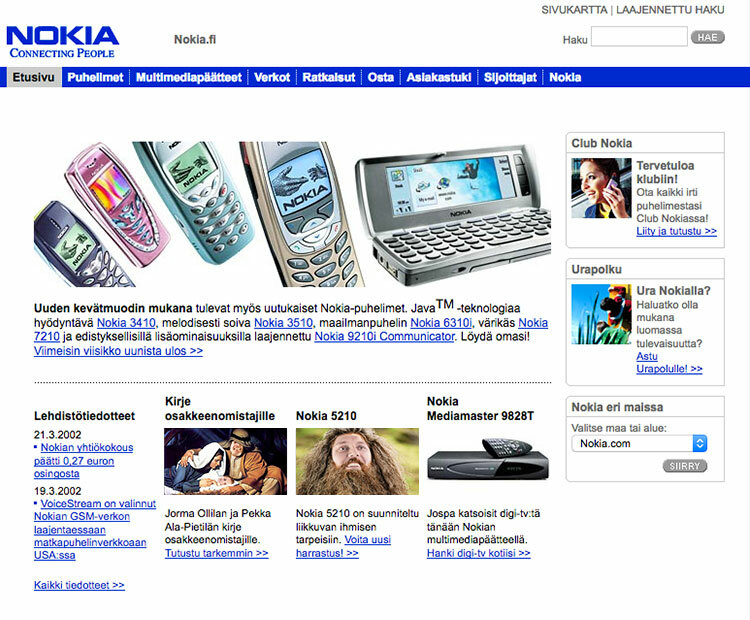 The site is among the first web services to implement Nokia's new guidelines for presenting their brand on the web. In addition to a new look and feel, the site offers content features such as after marketing tools and entertainment services. The project becomes an important milestone in a long and successful relationship between Frantic and Nokia. The internet is starting to fundamentally influence other industries, such as the TV industry, which is constantly searching for new ways to interact. Frantic develops the immensely popular WaterWar for SubTV. In the interactive community game, two teams compete with water guns by text messaging. The service will go on to win the Europrix award in 2003. Facebook is launched, and the next generation of internet solutions is starting to attract investors. 92% of internet users use Internet Explorer. Firefox 1 is released. George Bush is elected to his second term. Lionel Messi makes his league debut. Nokia keeps Frantic busy with campaigns of all sizes. Since 2001, Frantic has also been serving another long-time client, Helsinki International Film Festival for which it produces yet another new website in 2004. E-Commerce and social media are blossoming. Twitter enters the scene. Google acquires YouTube. Pluto is downgraded from a planet to a dwarf planet. The UN establishes the United Nations Human Rights Council. Camera technology is developing in the mobile world. After introducing its first camera phone in 2002, Nokia has been on the forefront of mobile photography. Following the release of the N93 phone with one of the best cameras the industry had seen, Frantic creates a photo and video series from some of the best photos taken with the pioneering phone. The shoot takes place in Cape Town, directed by icelander Lalli Jonsson. Finnish IRC-Galleria becomes the most used web service in the Nordics. The iPhone is introduced, sparking a huge increase in mobile internet use. Nokia is still going strong with the release of the N95 phone. Dark clouds are gathering for the world economy, but Frantic is thriving. Internationally, the first banks start freezing funds after discovering valuation problems with subprime loans. Another long and fruitful partnership is about to begin as Finnair, Finland’s national airline, forecasts that their sales are shifting more and more towards digital channels. Frantic and Finnair start a collaboration that will deepen as the years go by. Still busy with Nokia, Frantic creates a pioneering campaign for the N76 phone, which allows users to design their own N76 phone. With the use of a 3D production motor, users can create 3D models and videos in real time. The global campaign becomes an unprecedented success, with over 15 000 design submissions. The internet has become an uncontested supermedia, which starts affecting other media industries. Spotify is launched. In September, Lehman Brothers closes its doors. The world’s financial system is in a downward spiral. The recession is about to hit the world economy. Barack Obama is elected president of the United States, and Britney Spears attempts a comeback. The demand for mobile services is picking up. Frantic is recruiting like never before. 2008 sees also Frantic’s first foray abroad. 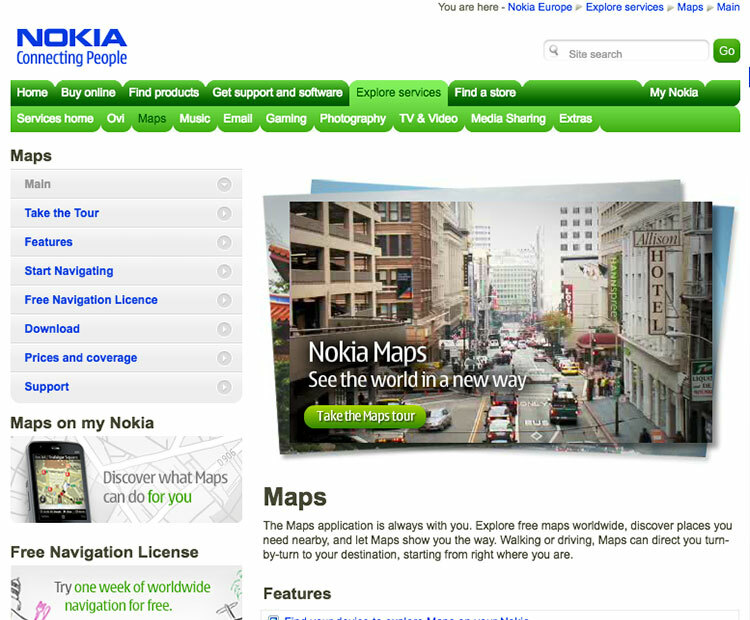 Focusing on map services with communal features, Frantic sets up an office in Berlin to work on prototyping Nokia Maps. Financial instability is omnipresent, with deep problems surfacing in the Greek economy. However, mobile phone technology continues to grow with increased use of 3G networks and improvements in operating systems. Finnish Rovio releases Angry Birds, sparking unprecedented hype around a simple mobile game. In Finland, Frantic and Nokia’s Anna Soida campaign, starring the Finnish rapper Elastinen, as well as a campaign featuring tennis star Jarkko Nieminen are making waves. Nokia also gets worldwide attention with Nokia Dance Fabulous, a groundbreaking campaign that allows users to make music videos by recording their dance moves on a web camera, and embellishing and sharing the resulting masterpieces. In the midst of all the work for Nokia, the partnership between Finnair and Frantic is steadily deepening. What started out from three language versions has expanded into numerous more. 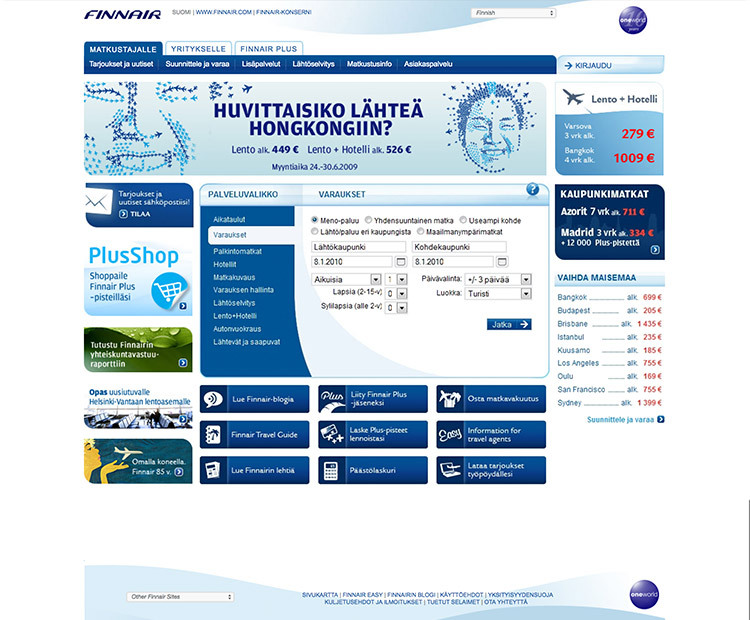 In addition to running Finnair’s website, Frantic starts creating hugely successful newsletters for the Finnish airline. The mobile era is here to stay, and that means emerging website demands. Frantic starts looking into the trends, and renews its brand in the process. The financial crisis really hits the Eurozone, and the effect of the recession is felt throughout. SpaceX successfully launches the Dragon capsule. Justin Bieber enters public consciousness. Nokia is losing market share, and stocks are plummeting. Frantic senses a change coming. Just a few years ago, the renewal of Terveystalo.fi would have been designed as one big project. This time, Frantic and Terveystalo embark on a new way of doing things, renewing the site in small chunks, enabling constant improvements and iterations. Service design begins to play a bigger role than ever, preceding Frantic’s future direction. The effects of social media are beginning to show, with Twitter playing a vital - if disputed - role in organizing everything from the Arab Spring to the London riots. Nokia’s share price is down 50%. Kim Jong Il dies. Charlie Sheen starts going nutty. Frantic goes through a transformational year. With Nokia crumbling, a ten year collaboration with Frantic comes to an end. Frantic refocuses. Working with Nokia has resulted in many successful marketing campaigns, but the core of Frantic lies in design and technology. This epic union will go on defining the new era of Frantic. 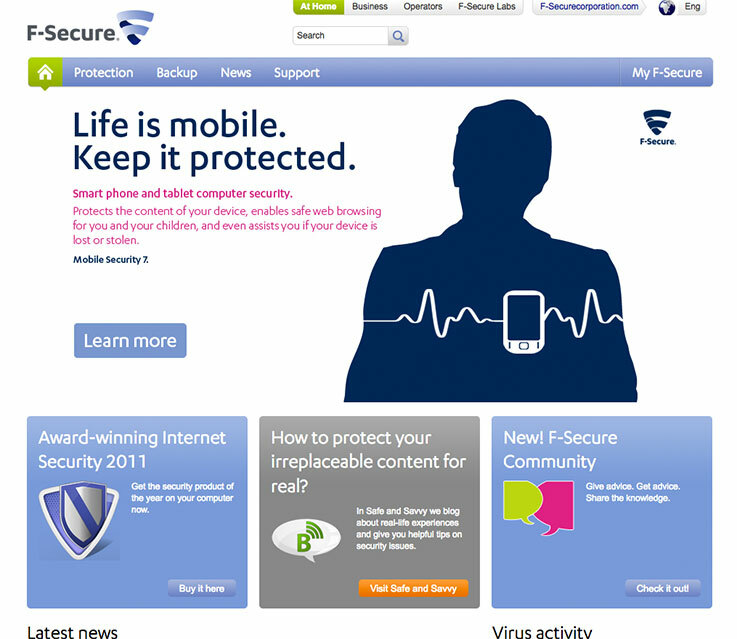 Frantic goes on creating increasingly user-centric digital services for Radio Nova and F-secure. With Radio Nova, Frantic focuses on a thorough brand refresh and unforeseen real-time site features. For the thriving security company F-Secure, Frantic creates a website with the core of a human-led, user-friendly service entity reflecting the fresh, renewed brand. Curiosity Rover successfully lands on Mars, and Felix Baumgartner becomes the first person to break the sound barrier without mechanical assistance. In the world of technology, the battle of smartphones and tablets is getting intense. Frantic is buzzing. Refocusing feels right, and company morale is high. 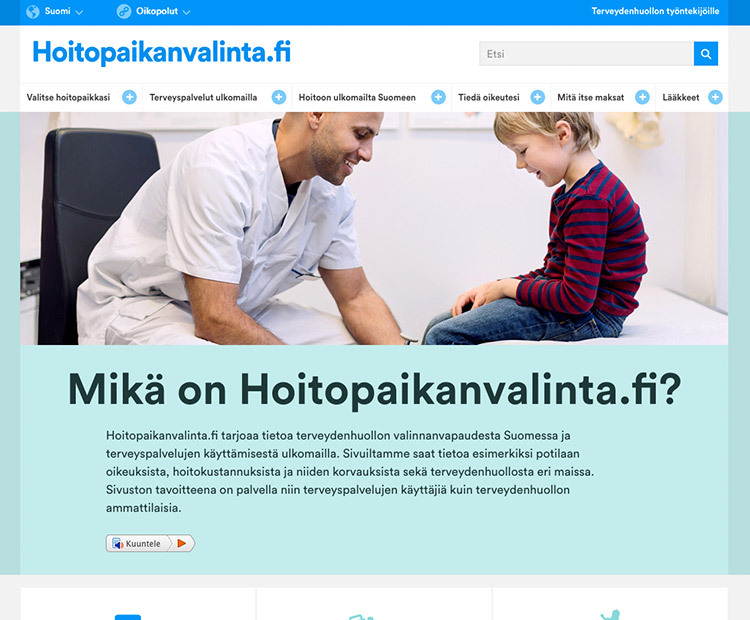 One of the first firms in Finland to do so, Frantic starts creating responsive digital services. Frantic moves to bigger premises in Kalevankatu. Frantic renews one of the biggest news sites in Finland, MTV3. Defying conventions of the time, Frantic abandons the broadsheet model and moves to a vertical design. Frantic creates the concept, UI/UX and visuals, and even lends a few frantimones to the Finnish organization. Barack Obama is inaugurated for his second term. Edward Snowden leaks information about the NSA. Vine hits mobile devices and Google releases the prototype Google Glass. The hype is real, but it will not last. Microsoft announces that it's buying Nokia, to great national disenchantment. Meanwhile at Frantic, now one of Finland's leading agencies in responsive web design, things are looking good as the importance of mobile keeps rising. Frantic goes on creating awesome digital services for the likes of WWF, Radio Nova and Helsingin Energia. The first ever Future Day, a thought-leadership event is arranged featuring Barry Abrahamson, the CTO of WordPress.com. Finland wins the World Junior Ice Hockey Championships against Sweden; the summer is exceptionally warm. The nation rejoices. Social media has cemented its status as a super force, and the importance of content is fast becoming widely accepted. Frantic puts together two Future Day events, this time with the public figure Arman Alizad and the godfather of atomic design Brad Frost as keynote speakers. Frantic’s Radionova.fi renewal wins gold in the Webby Awards and is nominated as an honoree in W3 Awards. NASA confirms the presence of water on Mars. The world strikes a deal on climate change in Paris. A refugee crisis floods Europe. Thirty years after VR made its debut, the technology finally seems poised for widespread use. Frantic wins its first large-scale public sector case and signs a six-year contract with KELA. The first version of the Hoitopaikanvalinta.fi project sees daylight in May. Co-operation continues after the launches. As the strategic importance of web services keeps growing, Frantic keeps growing as well. Now 18 years old, Frantic celebrates the backbone of the company: its culture. An exciting experiment is also underway, as Frantimones are preparing for the first remote office in Thailand. To get girls into coding and the ICT industry, Frantic arranges its first Code Camp for Girls, where a group of 13-15-year-olds spend a week learning to code HTML and CSS with Frantic’s own developers. Summer olympics are held in Rio, and Finland has its eyes fixed on WWF’s Norppalive. Donald Trump is elected president of the United States. VR and AR are making people talk like never before. A lot of exciting things are happening at Frantic. The second remote office is kicked off, following the initial experiment’s success. CherryonTop, a startup accelerator by the founders of Frantic, is launched. Frantic starts the next twenty years with an awesome bunch of new clients such as Sitra, Pihlajalinna, Eläketurvakeskus, HSL (in close co-operation with Hellon), and Värisilmä - just to mention a few. Even though design and tech have always gone hand in hand in its way of doing things, in 2016 Frantic took a huge leap towards a more design lead approach by strengthening its business and service design offering. As the importance of digital channels in travel sales keeps growing, the partnership between Finnair and Frantic deepens. 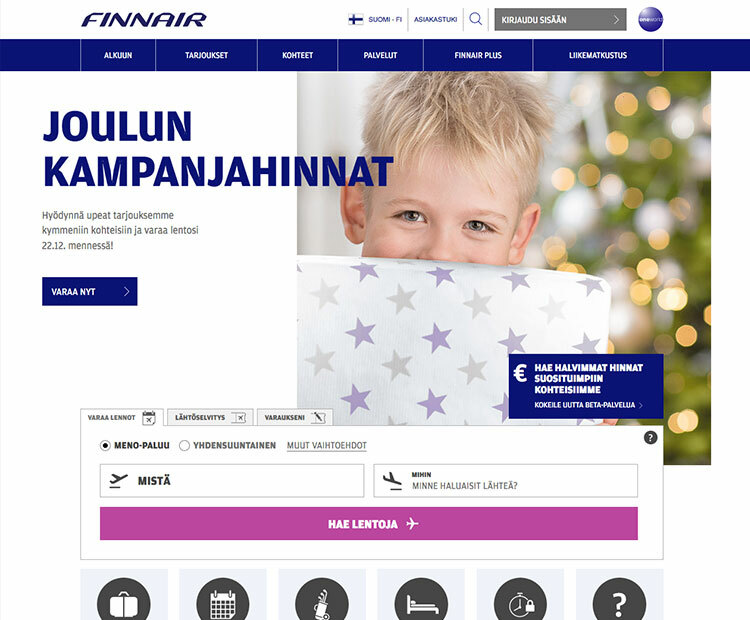 Frantic has now produced 50+ sites and 100+ projects for the Finnish airline, with a team of over 3o people working on-site and on-call to keep Finnair’s online operations up and running. Frantic organizes its biggest event yet, Future Day 2016. With a program including keynotes from Funzi’s Aape Pohjavirta and Ella Bingham from Aalto University, as well as a design thinking workshop, Frantic tackles the thought-provoking subject of humanizing technology. Frantic turns 20. Digital services are now business critical for companies of all sizes across all industries. This year, Frantic will push the envelope even further, as it always has. Stay tuned. Want to be part of our future? hello@frantic.com!